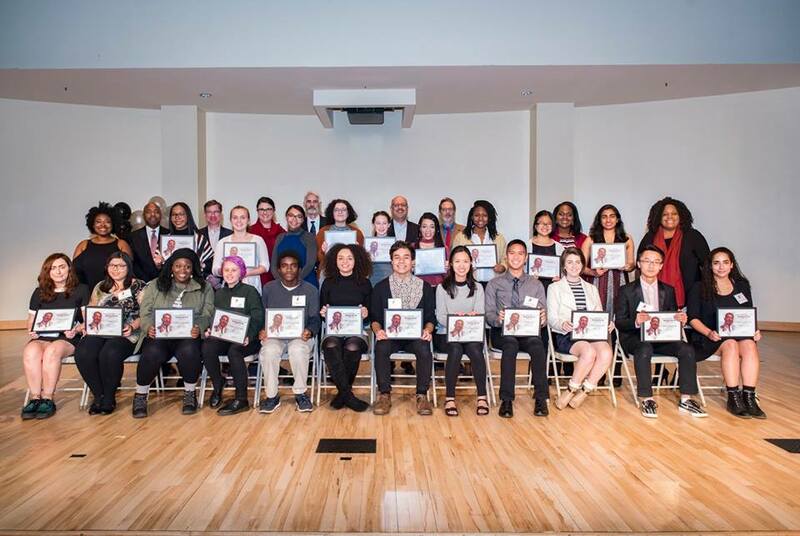 Since 1999 the annual Martin Luther King, Jr. Day Writing Awards program has provided an outlet for young people to express their complex experiences with race and diversity through writing. Based at Carnegie Mellon University (CMU) in Pittsburgh, the awards are open annually to high school and college students in the Pittsburgh area or any remote CMU location. Jim Daniels, founder and director of the awards, is of the belief that “the process of writing itself can help young people explore and break down issues of differences in their lives.” In advance of Martin Luther King, Jr. Day—and the nineteenth annual MLK Day Writing Awards ceremony—on January 15, Poets & Writers spoke with Daniels about the establishment of the program, the importance of providing a platform for young people to discuss issues of diversity, and the impact that the awards have had on young writers’ lives and careers. How did the MLK Day Writing Awards begin? What goals did you hope to achieve by establishing this program? In graduate school back in 1980, I took a course from James Baldwin, in which he challenged us to examine our own experience with race more honestly. As a white kid who grew up on the edge of Detroit, I wasn’t up to the challenge, but never forgot it. In 1995 I edited the anthology Letters to America: Contemporary American Poetry on Race (Wayne State University Press). Both that anthology and the MLK Day Writing Awards are attempts to respond to Baldwin’s challenge. With Letters to America, I wanted to bring a diverse group of poets together to talk about what so often divides us in this country. When Carnegie Mellon University sought to establish campus-wide events for Martin Luther King, Jr. Day, I decided to try and do something similar with high school and college students, and the University gave me, and continues to give me, its support. We ask for personal narratives on race—not “Martin Luther King was a great man” or “Racism is bad” essays. Not angry screeds either. One of the key beliefs of the awards is that through telling each other our complex, nuanced stories, and listening to each other’s stories, we can break down some of the barriers between us, break some of the silence. For young people finding their way into the world, this can be particularly difficult and challenging, so we hope to provide a safe space for their voices to be heard. What is offered as part of the prize? How many winners are selected each year? The awards are $200, $100, and $50, for first, second, and third place. We also give a number of honorable mentions and select the best entry from each school to be recognized at our awards ceremony. In addition to the cash prizes, students are invited to read their work at the on-campus ceremony on MLK Day, and the entries are published in a chapbook that’s available at the ceremony. We try and extend the reach of the awards beyond the day itself, and winners are often invited to participate in additional readings and discussions in and out of the Pittsburgh community throughout the year. We also visit schools to do workshops to promote writing on race and difference. The list of schools from which students submit continues to grow. Currently we don’t have the resources to expand it to a national competition, but I encourage anyone who might want to start something similar in their community to contact me. Our website  also includes videos and chapbooks of previous award winners. In addition to publishing the annual chapbook of winners’ work, you recently edited the anthology, Challenges to the Dream: The Best of the Martin Luther King, Jr. Day Writing Awards (Carnegie Mellon Press, 2017) . What was the impetus to create the anthology and how do you feel it will help accomplish the goals of the program and its future? I work with a very talented, committed team here at Carnegie Mellon on the awards, and we felt that the fine writing being done over the years should be preserved and made available to a larger audience. We’re hoping the anthology will help accomplish that. These voices deserve to be heard again and again. In addition, these issues are often hard to talk about in the classroom, and we hope the anthology might make that a little easier to do. We also want to reach a national audience with this work and perhaps inspire other communities to get involved. In fact, in conjunction with the publication of the anthology, we produced an online study guide  so that teachers anywhere can use the work in the anthology for discussion and writing prompts. Have you witnessed any unforeseen successes of the awards over the past two decades? I think that seeing their stories recognized and celebrated has made a difference for some of the winners going forward. When we published the anthology last fall, we hosted a reading to celebrate it at City of Asylum in Pittsburgh, and a dozen contributors to the anthology read to an overflow crowd—one former winner brought her three children—and I felt a great sense of community in the room. Many of the contributors from previous years have made social justice issues part of their adult lives and careers. When is the next round of submissions and how can students enter their work? We open submissions each Fall, and the deadline is usually right before Thanksgiving. Students can enter their work online via Submittable , where they will find complete submission guidelines.